WELCOME! Please register and become a member of this great forum. We look forward to meeting you! 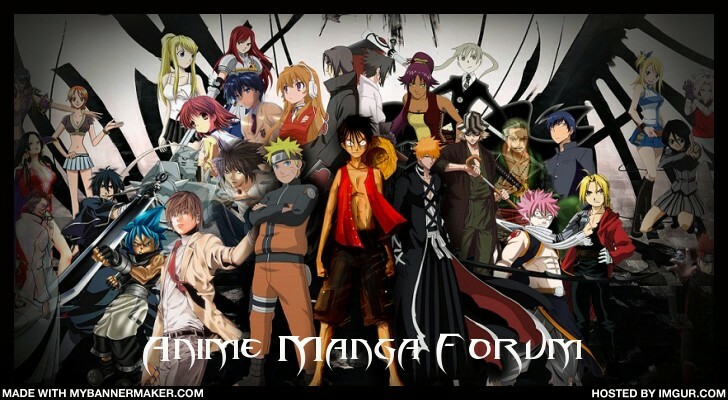 If you have issues, Contact Mr. S.
The best forum to talk about anime and manga! See what there is to offer and give your input on what you think in regards to the toolbar, this determins it's future. Congrats to our new Staff Member! New member to the Staff. Select a forum||--Administrative Department| |--Announcements & Site Updates| |--Technical Issues| |--Introductions| |--Feedback Forum| |--The Otaku House| |--Manga Discussion| |--Anime Discussion| |--Character Talk| |--Universal Colosseum| |--Colosseum Lounge| |--Panverse| |--Debate Forum| |--The Forum Mall| |--Clubs and Families| |--Tech Department| |--The Role Plays| |--Cinema| |--Off Topic| |--Forum Games| |--The Artist Lounge| |--Writer's Lounge| |--The Art Gallery| |--Archive |--Old items of Misc.